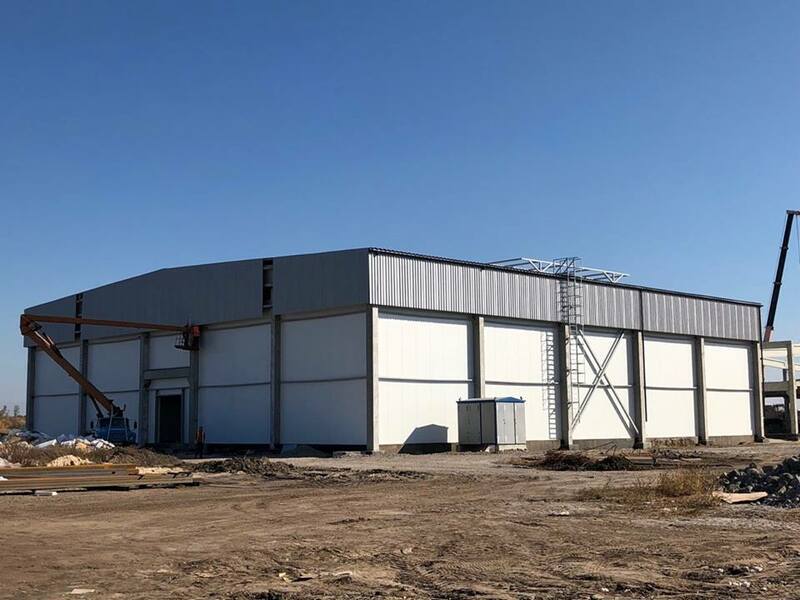 The “Sady Dnepra” (“Dnipro Gardens”) Company founded by Vadym Yermolaiev a famous Ukrainian businessman started the construction of the largest refrigeration complex in Ukraine beneath the Dnipro city. The area of ​​refrigerated storage constitutes 20 thousand m2 and will allow to allocate more than 19 thousand tons of apples. TThe first 10 storage chambers were put into operation in November. It will be not only the largest refrigeration complex in the country, but also the most modern one. Innovative technologies will allow to control all biochemical processes in an apple and to keep its freshness throughout the year. The storage has a regulated gaseous environment. This makes it possible to control the temperature and humidity in the chamber, to regulate the content of oxygen and carbon, and also to absorb ethylene. This system can be controlled by an ordinary smartphone from any place in the world. The control system is based on an advanced ACR technology (breath control system). This technology is able to measure the “respiratory coefficient” in the atmosphere of the refrigerating chamber and reduce the shrinkage of the product to a minimum. The storage system requires that cooling chambers be hermetic. Therefore, the technology of continuous hermetization of sandwich panels’ joints by the Dutch “RibbStyle” was used at the construction for the first time. Integrated hermetization materials have been developed specifically for these purposes. The very hermetization of refrigeration chambers is also ensured by means of gas-tight doors with pneumatic sealing. The complete launch of the storage will significantly expand the potential of Ukrainian products in foreign markets. “We want to prove that Ukraine can supply high-quality apples to any place in the world. A large-scale refrigeration complex is one of the steps to confirm Ukraine’s image of a reliable trading partner,” – Oleksandr Pakhno the General Manager of the “Sady Dnepra” said. The construction of the entire refrigeration complex is scheduled to be completed in 2020. Reference: The “Sady Dnepra” Company producing premium-class apples was founded by Vadym Yermolaiev in 2016. The total area of ​​the garden today amounts to 100 hectares. The Company exports its products to the countries of the European Union, Asia and the Middle East.